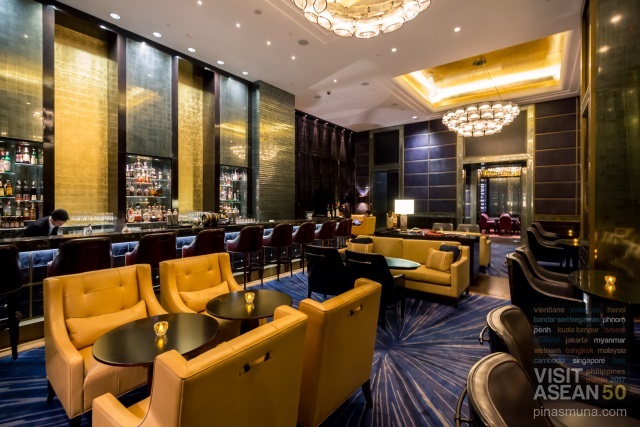 The St. Regis Kuala Lumpur is one of the newest luxury hotels in Kuala Lumpur, the capital of Malaysia. 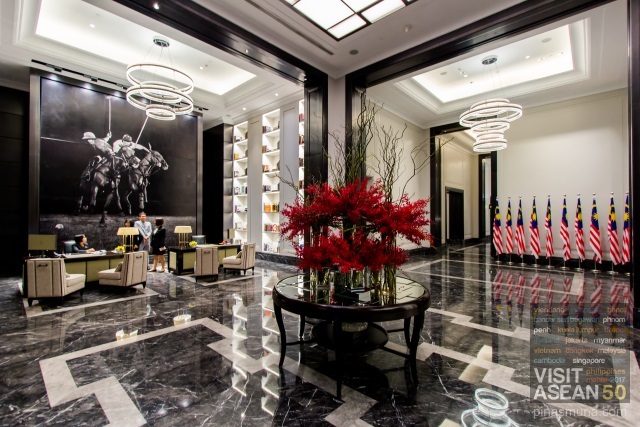 The property is managed by The St. Regis Hotels & Resorts Group, a unit of Starwood Hotels & Resorts and ultimately by Marriott International. 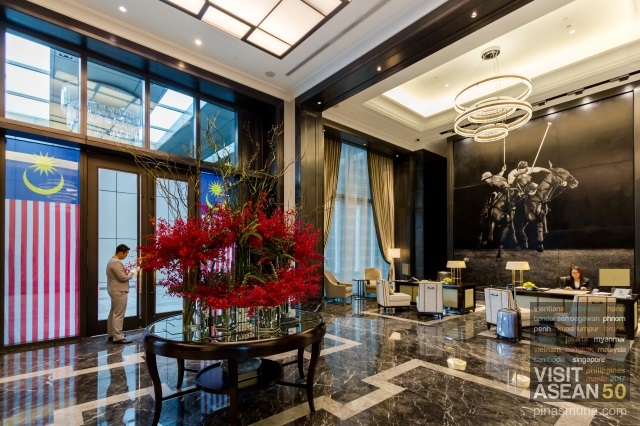 The hotel is centrally located right next to KL Sentral, the city's main railway station, making it very accessible from the Kuala Lumpur International Airport. 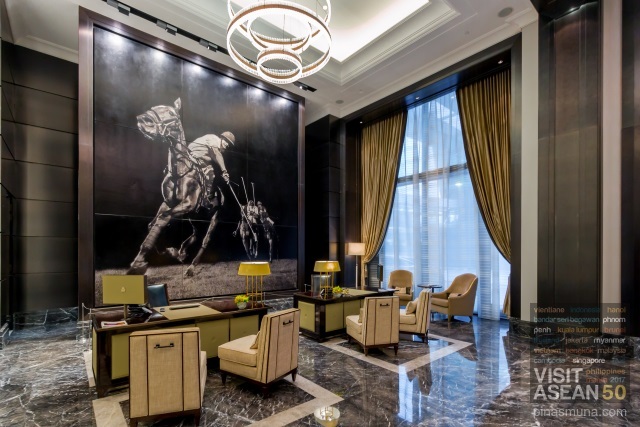 Tracing it luxurious heritage from from The St. Regis New York, the interior of The St. Regis Kuala Lumpur is filled with elements of old-world American elegant design, such as the horsehair leather panels at the lobby depicting a polo match, as well as the leather chairs with saddle stitch. The St. Regis Kuala Lumpur features some of the most spacious and elegantly furnished guestrooms and suites in the city. 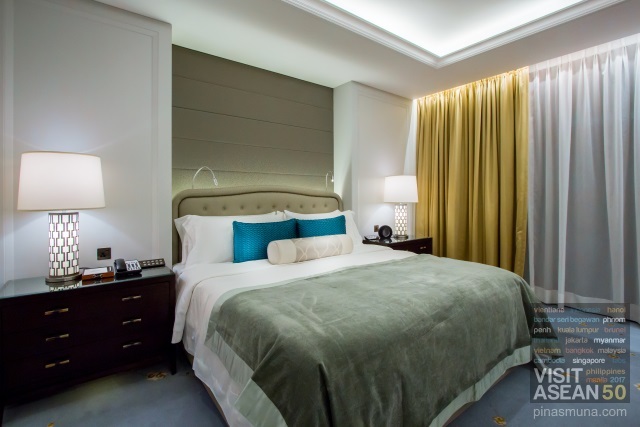 The guestrooms start at 63 square meters while the specialty suites range from 138 to 353 square meters. 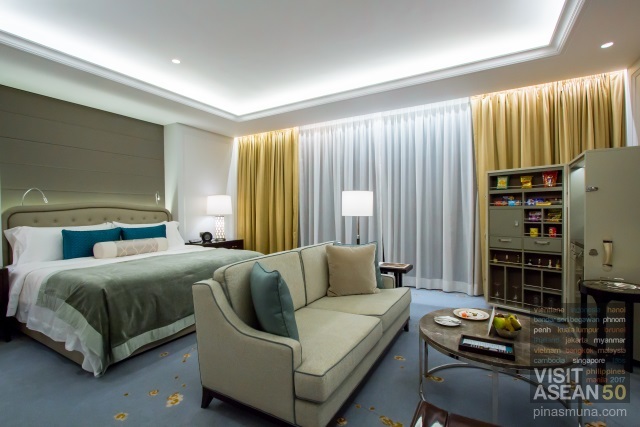 The suites also feature some of the most modern room security features which make them as the preferred residence of heads of states and royal families visiting Kuala Lumpur. A few weeks ago, I traveled to Thailand and decided to make a sidetrip to Kuala Lumpur before going home to Manila. It was my first time to visit the Malaysian capital, and I made sure that I stay in one of the best luxury hotels in Kuala Lumpur. Staying in a Grand Deluxe Room at The St. Regis Kuala Lumpur was indeed a good decision. 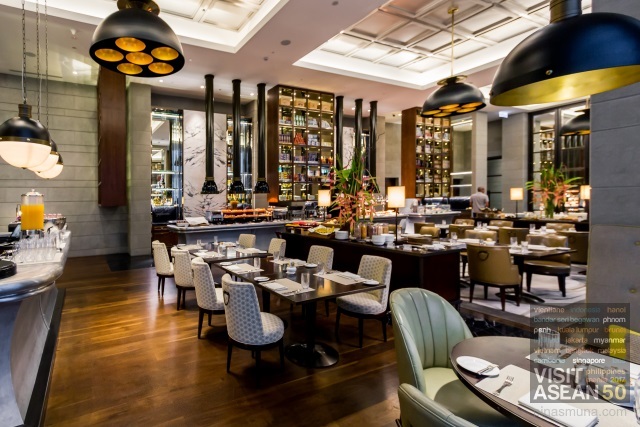 With a total of seven dining outlets, The St. Regis Kuala Lumpur offers some of the widest range of cuisine offerings and dining experiences in the city. The Brasserie, located on the second floor of the hotel, serves semi-buffet breakfast with Western and Asian dishes. The breakfast also includes items from an a la carte menu prepared a la minute. Whenever I am in Malaysia, my breakfast of choice has always been Nasi Lemak. 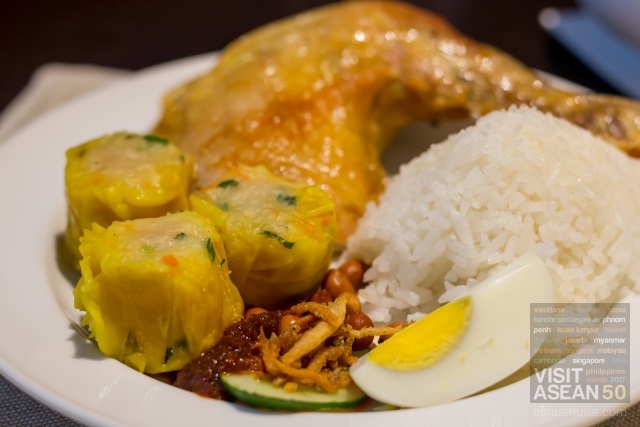 Nasi Lemak is available both on the a la carte menu and on the buffet spread. I prefer to make my own version of Nasi Lemak which I normally combine with siomai. There's also roast chicken on the buffet spread and I thought that it was a perfect pair for my Nasi Lemak. Guests can either book a room rate which includes breakfast or dine as a walk-in guest. Kuala Lumpur enjoys a tropical rainforest climate which is mostly warm, humid and sunny. 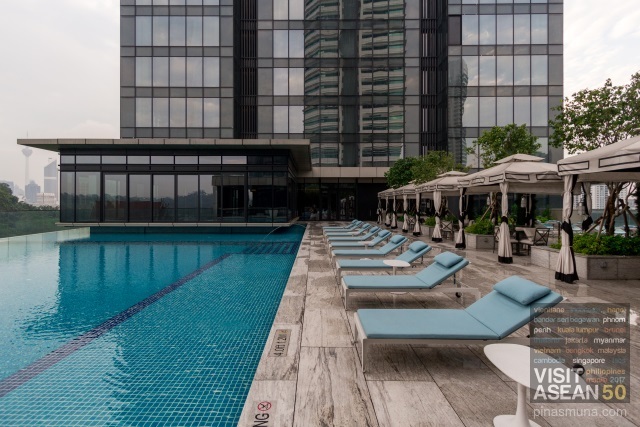 To escape the heat, you can enjoy a refreshing dip in the hotel's outdoor infinity pool with the view of the Perdana Botanical Garden and the Masjid Negara on the background. 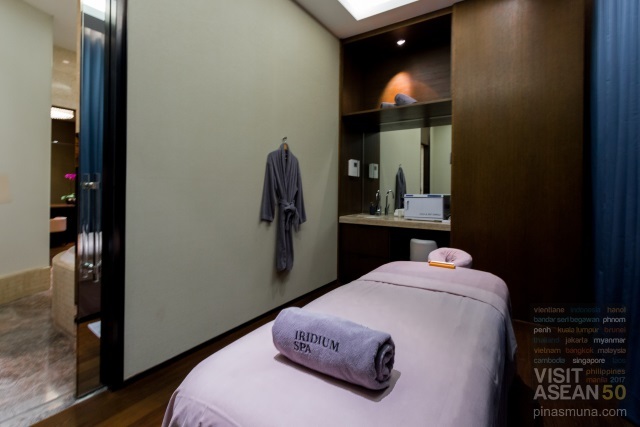 After a long day of exploring Kuala Lumpur or a stressful day at the office, you can relax both your body and mind at Iridium Spa. You can choose from a wide range of massage, body treatments and facials. Iridium Spa also features massage suites which come with private Jacuzzi and sauna room facilities. I enjoyed my brief stay at The St. Regis Kuala Lumpur. I loved my room, especially the bed. The breakfast was also excellent. Service was outstanding, however, I wasn't able to meet the butler when I arrived, and most especially because I had the do not disturb sign on most of the time. It was my first St. Regis hotel stay experience and I am sure it won't be the last. 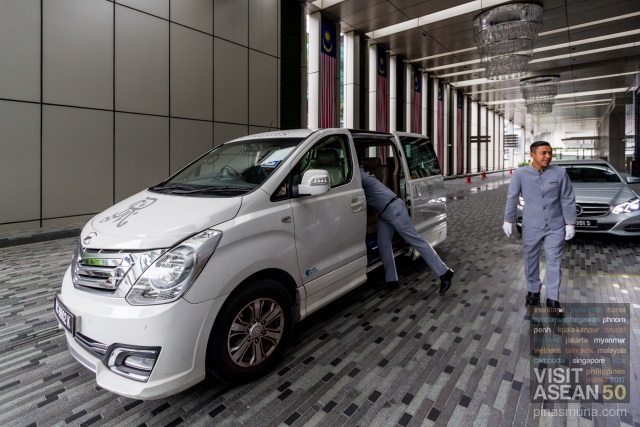 Going back to the airport wasn't a hassle because The St. Regis Kuala Lumpur has a regular shuttle service between the hotel and KL Sentral station. From the city, it only took less than 30 minutes to get to the Kuala Lumpur International Airport. This convenient location of the hotel makes it an ideal base for business and leisure travelers.